Coroners Tony and Austin Tilden are ready to call it a day when the town sheriff wheels a mysterious young body into their morgue. On the outside, she looks totally fine, although she was found mysteriously buried under a violent crime scene. The Tildens are then tasked with figuring out how she fits into an already complex puzzle. That’s just a sliver of the setup to The Autopsy of Jane Doe, the latest film by André Øvredal (Troll Hunter) which stars Emile Hirsch and Brian Cox as the father and son coroners and puts a surprising spin on the horror genre. In most movies, the autopsy is an act most movies mention as a throwaway or show in a montage. Here, though, it’s the main event, and it comes early. It’s up to the Tildens to find out what caused this woman’s death. However, with each nip, tuck, incision, and manipulation of Jane’s corpse, new questions arise. The autopsy is a great section of the film because it simultaneously keeps you guessing at what comes next but also churns your stomach with gruesome, calculated violence. Eventually, things start to take a turn and this is where Øvredal starts to fire on all cylinders. Nothing the film has presented so far has been anything other than clinical. So when things get slightly more unrealistic, the audience and the characters are increasingly terrified of the endless possibilities. Yes, The Autopsy of Jane Doe can be legitimately scary, simply because you don’t feel a precedent for what’s unfolding on screen. There are definitely some obvious and familiar moments, but they’re even peppered between what largely feels like a fresh take on the genre. Both Hirsch and Cox turn in performances that won’t knock your socks off, but manage to give the film an upgrade. There’s just something nice about having strong, recognizable actors in a smaller genre film like this that somehow gives it more credibility, and that’s totally the case here. If it wasn’t for them, The Autopsy of Jane Doe would still be good, but they take it to another level. So when you put all of those elements together, what’s the verdict? The Autopsy of Jane Doe is a solid, scary, and worthy addition to the horror genre. 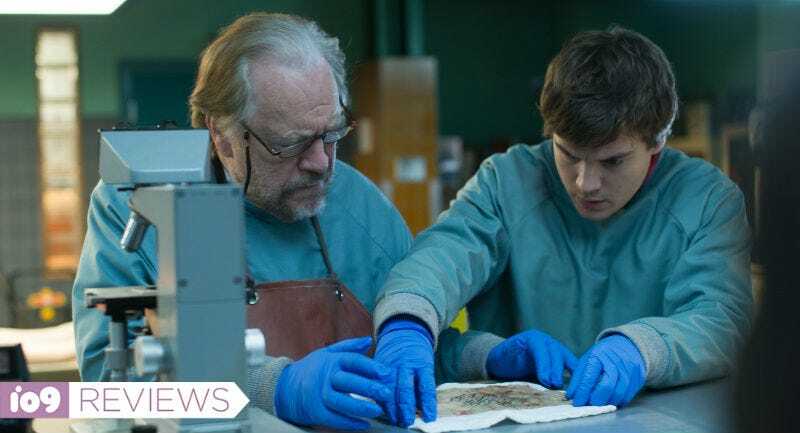 It’s got the innovation and smarts horror fans gravitate to, as well as mainstream appeal—except to people who are squeamish about seeing corpses getting dissected. The Autopsy of Jane Doe recently played Fantastic Fest 2016. It’ll be in theaters December 21.